The online version of this article ( https://doi.org/10.1007/s00592-019-01338-1) contains supplementary material, which is available to authorized users. F.P. is the guarantor of this work and, as such, had full access to all the data in the study and takes responsibility for the integrity of the data and the accuracy of the data analysis. All authors approved the final version. The authors wish to thank the Department of Clinical and Experimental Medicine for financial support in the context of the 2016/2018 Department Research Plan of University of Catania (Project #A). The authors wish to thank the Lipid TransPort Disorders Italian Genetic Network (LIPIGEN) study for financial support to carry out genetic analysis. The authors wish to thank the Scientific Bureau of the University of Catania for language support. RS contributed to the study design, researched data, contributed to the discussion, and wrote the article. ADP contributed to the study design, researched data, contributed to the discussion, and reviewed and edited the article. FU, VF, SDM, SM, AS, AF, researched data, contributed to the discussion, and reviewed and edited the article. 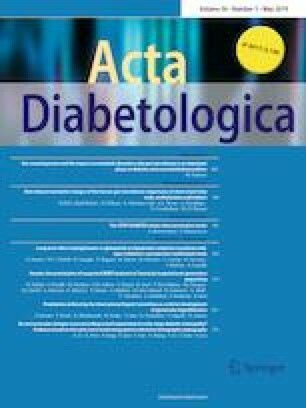 SP and AMR contributed to the study design and discussion, and reviewed and edited the article. FP designed the study, researched data, contributed to the discussion, and reviewed and edited the article. This research did not receive any specific grant from funding agencies in the commercial or not-for-profit sectors. This study has been approved by the local ethic committee in accordance with the ethical standards of the institutional and national research committee and with the 1964 Declaration of Helsinki and its later amendments or comparable ethical standards. This article does not contain any studies with animals performed by any of the authors. Informed consent was obtained from each participants included in the study.